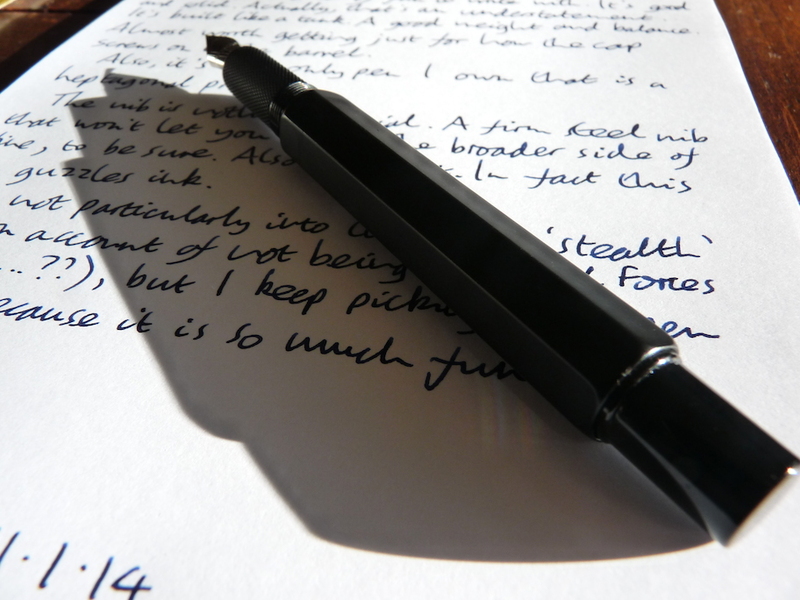 Levenger L-Tech Stealth fountain pen review – Pens! Paper! Pencils! Pens quite literally tell stories. One of the most lovely things about old pens is remembering or imagining the stories they have told. This pen has a story to tell from before it even arrived at my home. 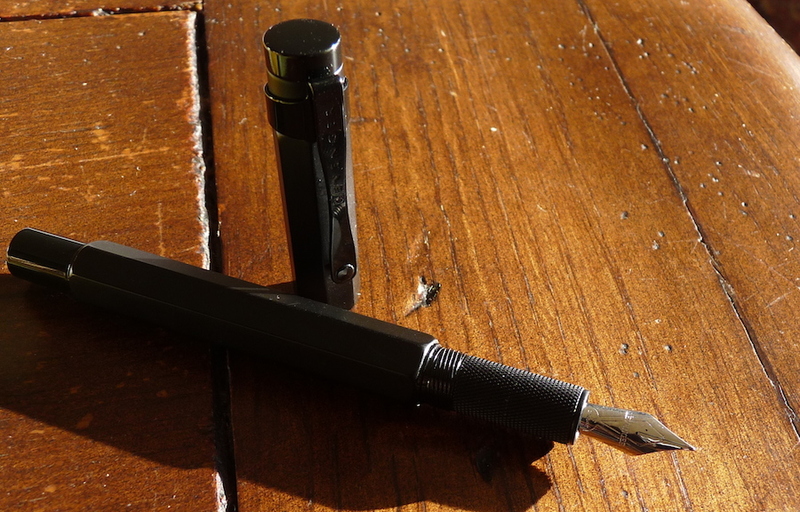 Back in November Mike Dudek wrote a review of the Levenger L-Tech Stealth and I decided I wanted one. It was an excellent review, as they always are on The Clicky Post, and the pen looked interesting. Rotring-like but at a price I could afford. 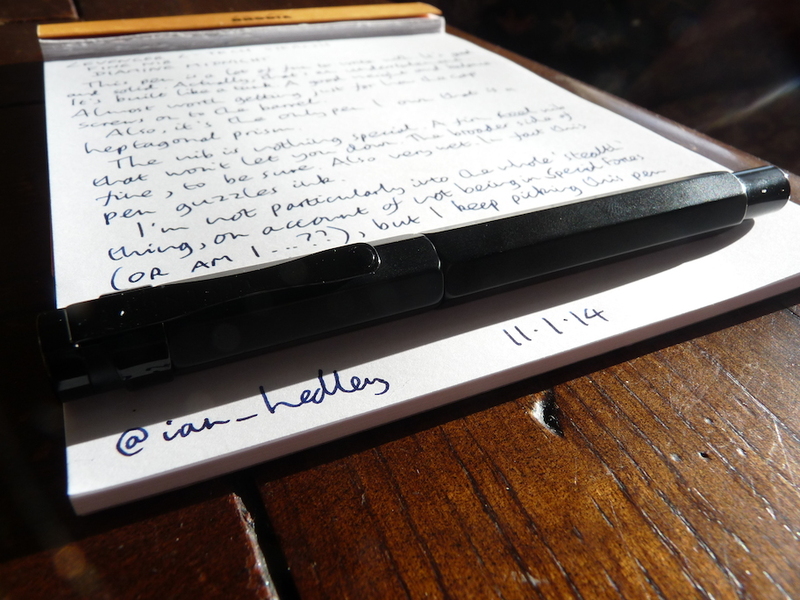 At the time, I was at the start of a pledge (to myself) not to buy any pens until after Christmas. Anyway, all was going well (with the pledge) until Levenger had a 25% off everything sale just after Thanksgiving. This, combined with Mike’s review, was too much to resist as I’m sure you will agree. I ordered the pen. Levenger have a weird thing where they don’t quote international shipping at the time of purchase. They send you an email a few days later. I can see why: they wanted $48 to send it here to the UK. Shocking. I cancelled my order and complained about it on Twitter, as you do. Mike saw my tweet and offered to buy the pen for me, have it shipped to him and then to ship it to me. All for what it actually cost, significantly less than $48, I can tell you, especially as I took the opportunity to order a Display from Mike at the same time. So thank you so much Mike Dudek, for enabling me both with the initial wish and with the fulfilment. Mike is a Top Dude. This pen arrived with a story. Was it worth all the trouble? It was. This is a wonderfully fun pen. It is the only pen I own which is a heptagonal prism and that’s something in itself. It is also very well made. The way the cap threads onto the barrel is worth the price all by itself. It’s hard to explain but it glides into place exactly lined up with the body in a most delicious way. I’ve made more than one person try it out. I’ll admit they haven’t found it quite as thrilling as I have. The nib isn’t anything special but it works and, in keeping with the pen as a whole, it feels as if it will last forever. I bought the fine nib and it is a fairly broad fine, really. It’s also very wet. This pen drinks ink like I drink wine: very well and in large quantities. The Levenger L-Tech Stealth is a metal pen and has a good weight to it. It’s well balanced, though, and so doesn’t feel heavy in the hand. I’ve written reams with this pen. It posts but I don’t: it would be a little too much, like that. The knurled grip is interesting and surprisingly comfortable to hold. My Levenger L-Tech Stealth has a story to tell and whenever I pick it up (which is often) I’m reminded of Mike’s kindness and of his love of all things engineered, polygonal and Rotringesque. And my no pens until Christmas pledge? I did well except for this (and four others). Mike is definitely a top notch dude. 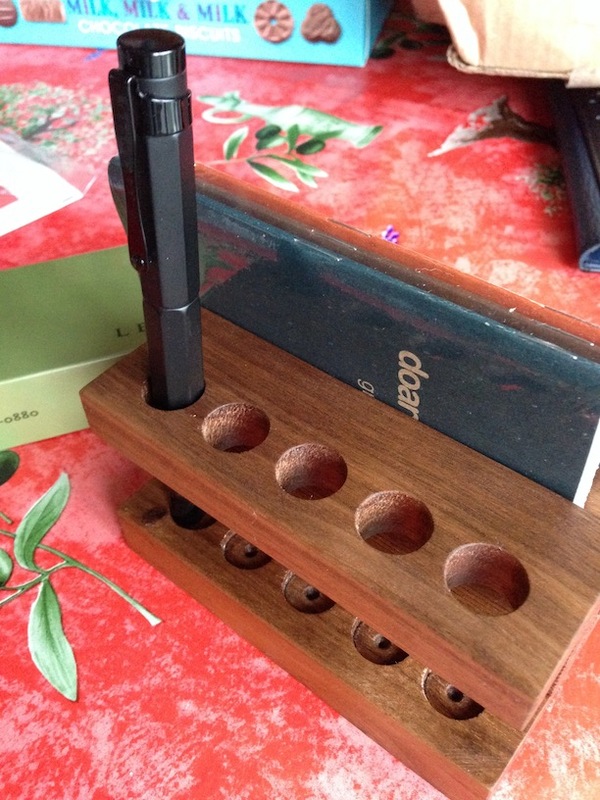 Glad you were able to secure a Stealth AND a Display :D. I have seen on Levenger’s site many reviews of people having issues with their nibs but I have something like… five…? Or six..Levengers now and I’ve never had a single nib issue, so I may have really lucked out or something, or they’re improved their QC. Either way, I’m happy! The stealth is super cool. Hi Azizah. 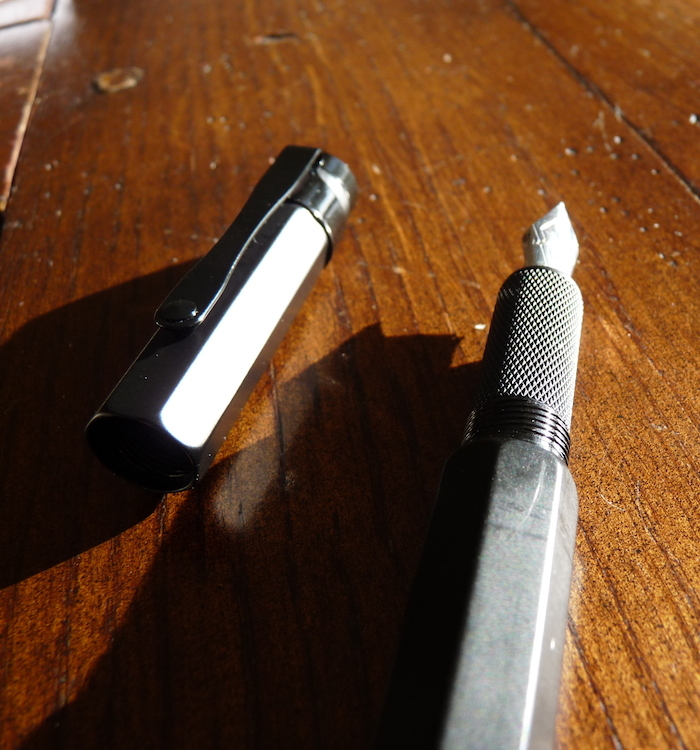 I have… one… Levenger but the nib is really jolly lovely. Not Faber-Castell lovely but lovely enough! I REALLY like the look of this pen, but as you say, I wouldn’t pay all that for shipping to the UK! I’m a structural engineer who uses FPs all the time for work (yes we exist) and I really wish I could get this affordable pen in my collection. It DOES look like the old Rotrings, which are the the pens and pencils of choice in my industry before Computer Aided Design took over. I’m sounded like an old fart here…I’m only 28 haha! So glad you’ve been able to enjoy this pen! +1 for Mike being a great guy, that’s awesome that he hooked it up! 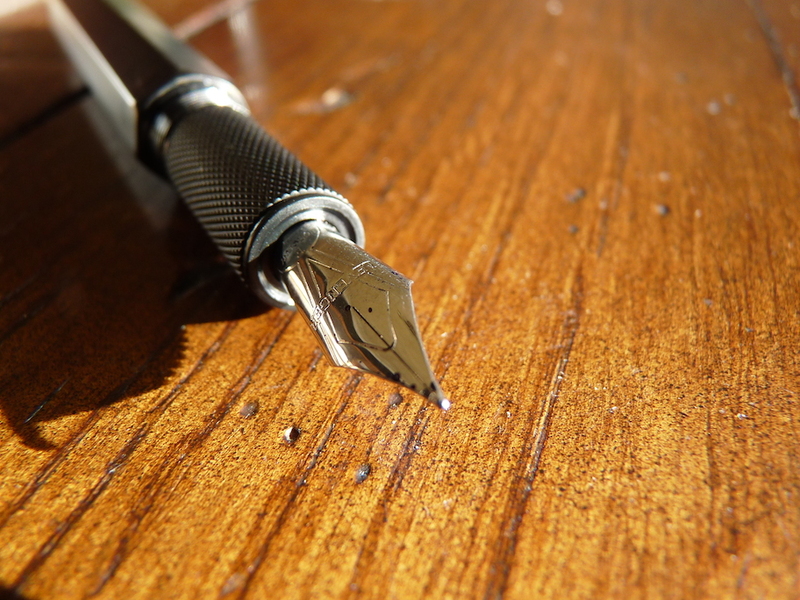 Good to hear that you didn’t have any problems with the nib, my medium was not so great. I put a Franklin Christoph nib in there, and it’s so, so much better. Hi Ed! Thanks for the comment. Yes the nib’s been fine (no pun intended). 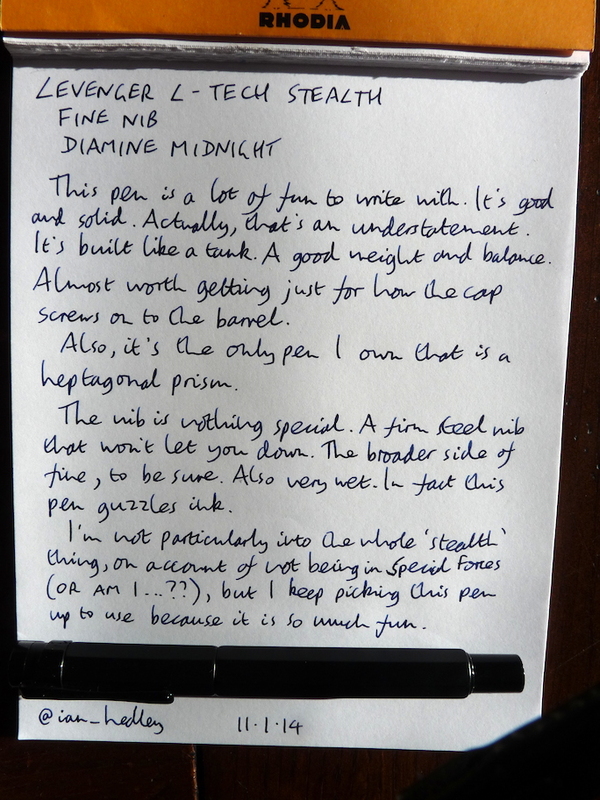 Funnily enough I had problems with a Franklin-Chrisoph nib which they were absolutely fantastic about sorting out. 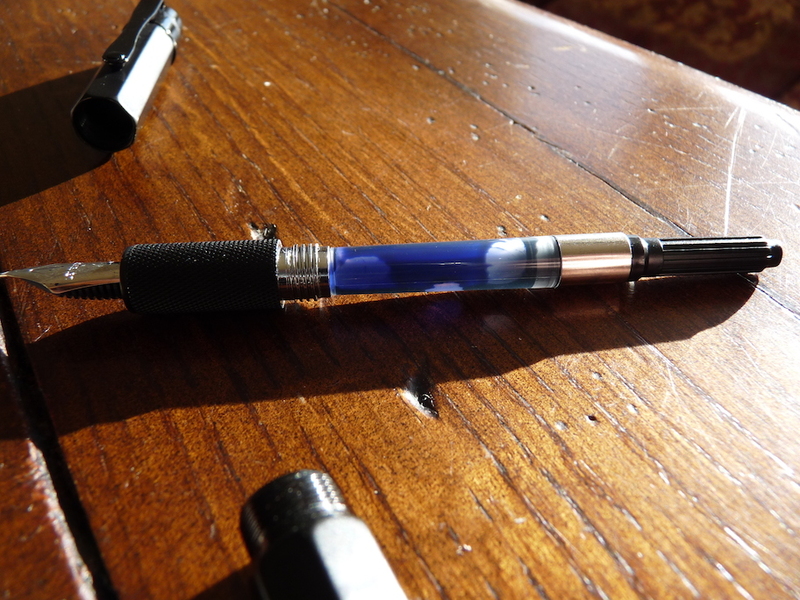 I got ahold of this pen via Massdrop some time ago and it is excellent – the nib is very broad for a fine but it is smooth as butter. The heft of it is also very reassuring and this is overall one of my favourites (not least because the cap, as you say, is so well engineered!). I wrote my own review on it here, although it pretty much agrees with everything you said. Great review! I didn’t get a case like that, have you found a use for it yet? I keep it in my work bag with an inked pen in it (usually the Levenger as I like using it) as a spare/alternative pen for the day. It being nails-hard and having a decent clip makes it eminently suitable for this purpose!